Last year, Warner Bros. confirmed that both animated incarnations of Teen Titans will collide in an upcoming film or TV special. The studio’s announcement came after a mid-credits scene in Teen Titans Go! to The Movies prominently featured the team members as they appeared in the classic 2003 Cartoon Network series. Although Teen Titans Go! retooled the series into a comedy, the original series’ stars used the mid-credits scene to proclaim that they’re “still here.” The crossover doesn’t have a release date yet, but according to Cyborg voice actor Khary Payton, the dialogue has already been recorded. What do you make of Payton’s remarks on Teen Titans Go! vs. Teen Titans? Tell us what you think in the comment section below! 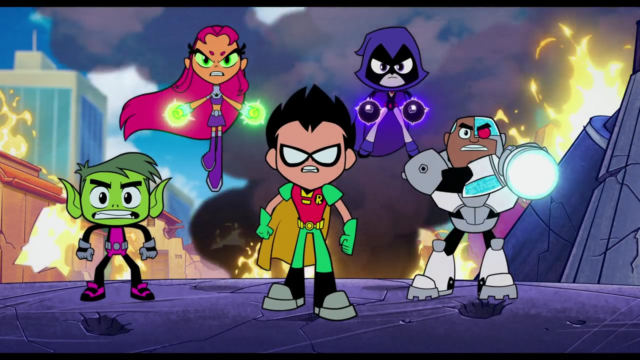 Tags: dc, Teen Titans, Teen Titans Go!, Teen Titans GO! to the movies, warner bros.